UNPO: Gilgit Baltistan: Chairperson of Friends of Gilgit Baltistan Gives Speech at Reception in Washington D.C.
Gilgit Baltistan: Chairperson of Friends of Gilgit Baltistan Gives Speech at Reception in Washington D.C.
On Wednesday July 20, 2011, Institute for Gilgit Baltistan Studies hosted a reception in Washington D.C. for the visiting member of the European Parliament, Mr. Jurgen Creutzmann, who is also the chairperson of the parliamentary caucus called ‘Friends of Gilgit-Baltistan (FOGB)’. Prominent among the honorable guests were Dr. Quan Nguyen and Dr. Wen (Rallying for Democracy), Dr. Sue Vaughn and Aaron Myers (Freedom House), Dr. Sean Roberts (George Washington University), Dr. David Michel (Stimson Center), Dr. Vijay Sazawal (Indian American Kashmir Forum), Dr. Rodney Jones (Kashmir Study Group), Dr. Amit Pandya (US Labor Dept. ), Ngapo Jigme (Radio Free Asia), Dr. James Beall (St. Johns College), Greg Mitchell (The Mitchell Firm), Bhuchung Tsering (International Campaign for Tibet), Mehmet Tohti and Omar Kanat (World Uighur Congress), Larry Roeder and Zahra Omar (Climate Change Media Partnership), Michael Penders and Dr. Tracy (Environmental Security International), Katie Cheney (First Peoples Worldwide), M. A. Sabir, Asif Ismail (Global India Newswire), Dr. Ashik Shafi (The Hudson Institute), Amber Jamil (Former Amnesty International), A. R. Shujaat and M. I. Musa. Dr. Marina Colby (former congressional aide / US Justice Dept.) welcomed the guests and invited MEP Creutzmann to share his views on shifting political alliances in South Asia, and impact of Pakistan China relations on Gilgit-Baltistan. During his speech, the MEP focused on environmental and political issues pertaining to the greater Karakoram-Himalayan region. He said, “Contrary to the regular attention that the Indian Kashmir receives; very little is known about Gilgit-Baltistan which enables both Pakistan and China to oppress the natives and pillage their natural resources with impunity. It was this realization that prompted several members of the European parliament including myself to incept Friends of Gilgit-Baltistan, which helps the interested individuals and institutions adopt a balanced view on the issue. The organization also facilitates the natives of Gilgit-Baltistan raise their concerns and demands at the international forums”. He criticized China for maintaining a permanent presence in Gilgit-Baltistan which complicates relations between India and Pakistan and adds to political instability in the region. He said, “Gilgit-Baltistan is a disputed territory and China’s involvement in the region only adds to political complications. 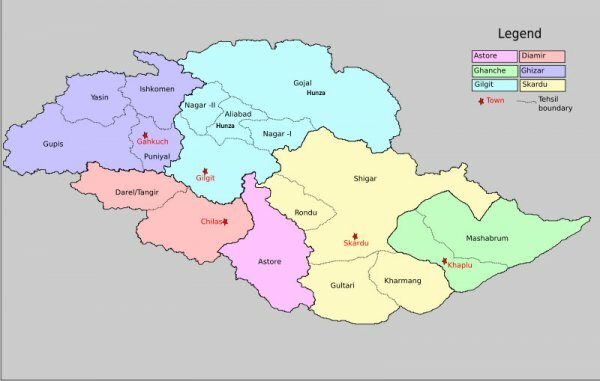 China’s incursion into Gilgit-Baltistan is happening at a time when regional countries along with Russia are trying to convert Shanghai Cooperation Organization (SCO) into a formidable regional alliance and most of these partners will be using Gilgit-Baltistan as the lynchpin to connect with each other. Already China has agreed to spend billions of dollars to widen the Karakoram Highway or KKH and build a rail track – both of them will run through Gilgit-Baltistan and connect Kashgar in the north to the Pakistani capital Islamabad in the south”. While talking about environmental degradation in Gilgit-Baltistan, he said, “The region is already bearing the environmental brunt to provide for raw material and energy needs of an accelerated economic growth in Pakistan and China. China is currently spending almost US$ 35 billion to build mega dams in Gilgit-Baltistan which will provide twenty thousand megawatt of energy to both occupying countries. The dams will accelerate glacial melting which means less water for irrigation for locals in East Turkestan and Gilgit-Baltistan in the coming years and increased floods and land inundation in the plains. The long term implications are widespread famine, recurring regional wars over water resources, and rise in oceanic water leading to disappearance of coastal lands in different parts of the world. While commenting on the speech of MEP, Dr. Rodney Jones emphasized on the geo-strategic location of Gilgit-Baltistan in context to the Kashmir dispute; and Michael Penders highlighted the constitutional aspects of presence of Chinese workers and military personnel in Gilgit-Baltistan. Dr. Marina emphasized on the possibilities of obtaining support of congress members for the Institute. In the end, Senge Sering acknowledged presence of all the guests and requested them to continue their support for the people of Gilgit-Baltistan.